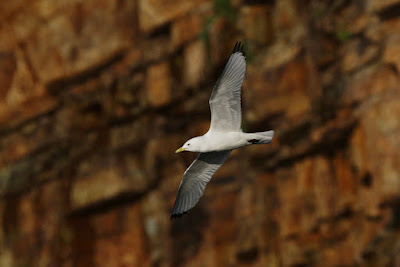 Most people wouldn't believe it but the Black-legged Kittiwake is apparently the most common gull species in the world. 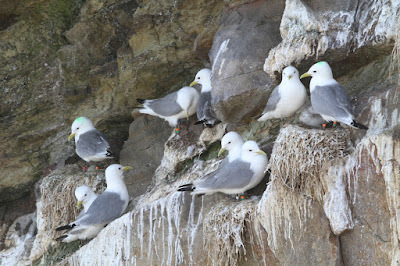 I'm guessing that people are more familiar with the classic 'seagull' of seaside resorts, the Herring Gull, but there are, in fact, twice as many Kittiwakes in Britain than Herring Gulls. Those who have made a trip to Bempton or the Farnes on the east coast, one of the Scottish islands or indeed Skomer may be aware of this dainty seabird but their pelagic lifestyle and choice of breeding habitat - vertical rocky sea cliffs, often on remote coastlines and islands - take them away from the sphere of most peoples consciousness. Having said this, all is not well in the world of the Black-legged Kittiwake. 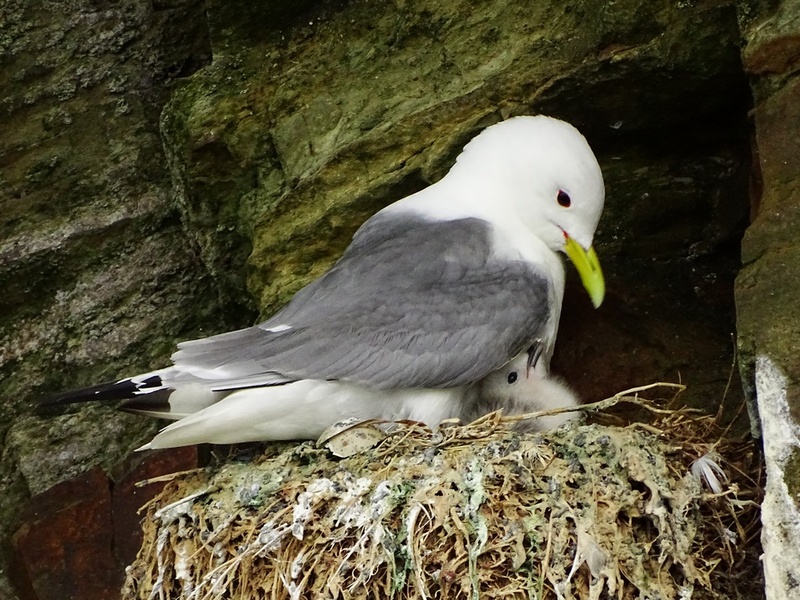 The UK currently has around 380,000 breeding pairs of Kittiwakes which is around 8% of the world population. They are red listed in the UK due to steep declines in the population since the 1980s. These declines are likely caused by low productivity coupled with low survival. 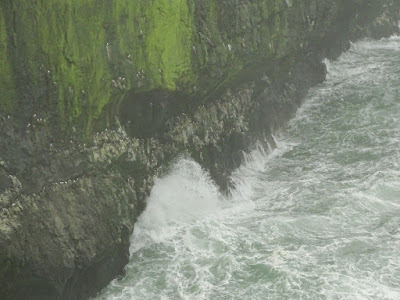 Skomer has one of the largest Kittiwake colonies in Southern Britain and the largest in Wales. 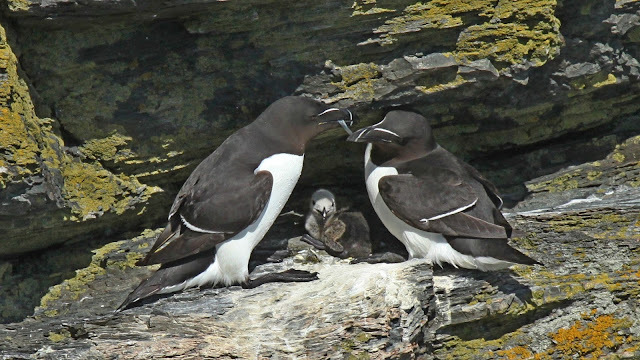 They have undergone several years of slow decline on Skomer and the 2017 total of 1,336 nests is once again a drop in numbers ( 9% less than in 2016 and 24% less than the mean of the previous ten years). Nationally, and especially in Scotland, the situation is even worse with declines of up to 15% per annum. Work is being done on Skomer to monitor and study the Kittiwake population with the aim of identifying reasons for the decline and applying this to its conservation (although this may be very difficult given the broad scale nature of the problems involved). Threats: Climate change, warming seas, overfishing, increased storm events, pollution, mortality as bycatch, collision with offshore wind turbines. 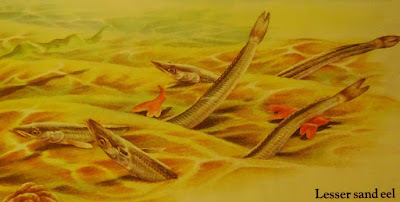 The species could benefit from Species Action Plans, a regional monitoring strategy and further research on the effects on climate change and prey reductions. Creating a network of hunting-free reserves in coastal areas. Monitoring of bycatch of this species through on board observer programmes, and appropriate mitigation measures implemented where necessary. Sustainably manage fisheries to prevent over-fishing. Obviously we can all help by reducing our carbon footprint and by making sure if we eat fish we source it and, other products, sustainably but there are also other small ways in which we can help. 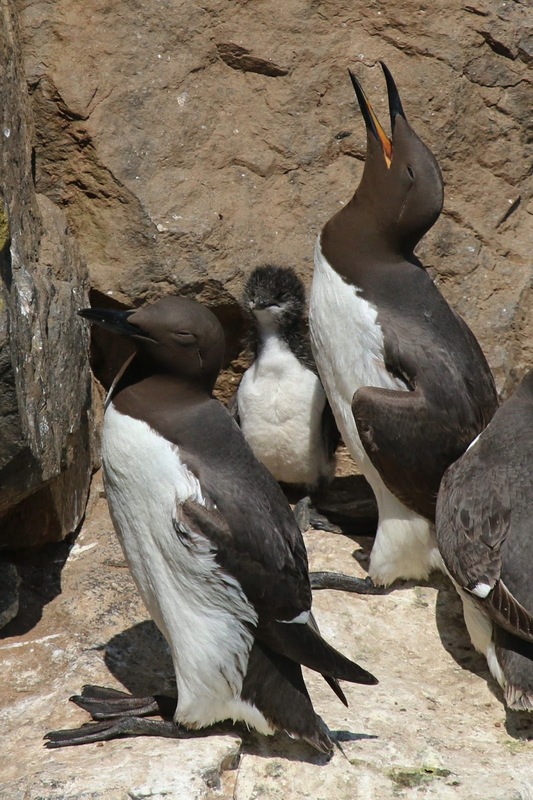 Supporting conservation organisations and research bodies who protect and study the lives of these vulnerable seabirds will give them a helping hand. 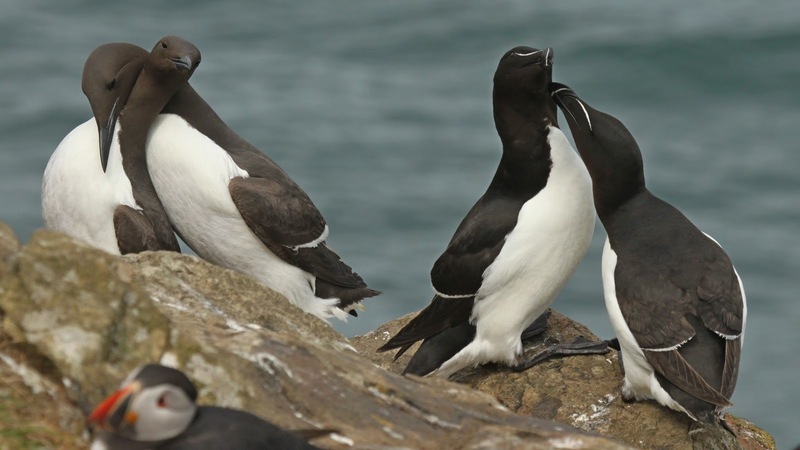 If you are a keen birder, taking part in national and regional seabird surveys as well as making sure all of your seawatching data goes to Birdtrack will also help. Let's keep them the most abundant gull in the world.